From the beginning of time minerals have been used for supporting general health and in some cases used by doctors to treat arthritis. In ancient times, gold was used to stop arthritis by wearing it as wrist bands on painful joints. In modern times, it is injected into joints for the alleviation of arthritis. In more recent times, the mineral silver was used as an antiseptic. The pioneers of America used silver coins to stop milk deteriorating when crossing large tracks of land, the silver ions killed the bacteria. Now in modern times, silver is used in most air craft air purification systems. NASA used silver as an air purification system for its astronauts. Many minerals have properties of boosting the immune system. 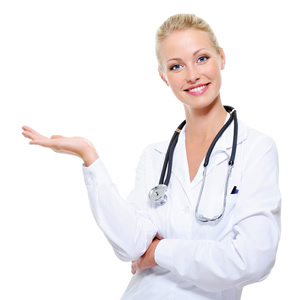 Hospitals use minerals as antibacterial and antiviral agents. Iodine has been used for centuries as an antiseptic agent. Chlorine is used today as an antiseptic for water supplies in most countries. Bromide and Fluoride are both used as antiseptics in industry. It was with this information and many years of research that a resourceful doctor looked at the possibility of using minerals to support healthy cell integrity. After using pure minerals in low dosage and after 20 years of research, an amazing discovery was made. It was discovered that by using pure minerals in a specific combination the body was found to be supported by a healthy cellular immune function. Documenting many cases over 20 years led to the launch of a product that has changed the lives of thousands of people worldwide. Supports general health and wellness. Threats attack the body when it is weak, so the best way to defend yourself against threats is to build up a stronger immune system. You’ve heard the expression, “The best offense is a good defense”? That’s the idea here. To best defend against threats to your body, you want your body as strong and capable as possible and that’s exactly what our Mineral Detox 2-step mineral detoxification is believed to do. 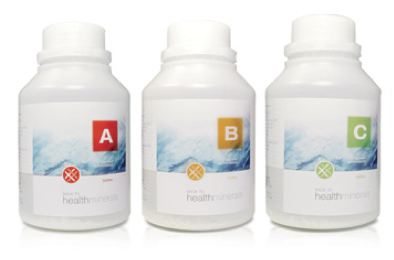 Over the past 10 years, our simple and specific 2-step mineral detoxification process has been documented to boost your body’s immune system by using the perfect combination of common minerals, that will help with cellular integrity, so your body can naturally support a healthy immune function. Our product is a Dietary Supplement for many of our satisfied customers, the Mineral Detox is all that’s needed to support a healthy immune function, to deal with providing a soothing support throughout the entire body to get your energy and vitality back. The Mineral Detox can also be taken as a general cleanse for your body. The Mineral Detox will enable your body to support a healthy immune system so you can be in optimal health. Mineral Detox is a formulation of specific minerals that have been used for the past 18 years in successfully boosting the body’s own immune system. This formula effectively boosts the body’s own immune system for support throughout the entire body to get your energy and vitality back from the cells. The process of using the mineral detox product – has been scientifically proven in many cases to boost the immune system. – The detox involves following TWO SIMPLE STEPS: To make it easy as possible for people to use the product, Mineral Detox has been color coded and clearly labeled. The first part of the detoxification process takes 36 days. During this time, the dose is slowly increased to 20mls, taken three times a day (each bottle contains 500mls of the product). It is important to point out that because the combination of minerals in the detox product helps to promote healthy cellular integrity, a runny nose, spots and/or pimples could be experienced during the detox process. This is a normal part of the detoxification process. This part of the detox involves taking the concentrated and specific minerals three times a day for a total of two weeks. This final step allows the body to provide a soothing support throughout the entire body to get your energy and vitality back. The mineral detox takes 50 days, with a one-day interval period between Step 1 and Step 2. Once Step 2 of Mineral Detox has been completed, you should begin to notice that your body is becoming vibrant with cellular energy! Please note, however, that you can still experience “detox clearing” over the following months, but these symptoms are usually minor and are part of the body’s clearing process. Right after finishing the detox, many people will continue to experience what are known as “clearing” issues – these will become less frequent over the next 3 to 9 months. Continuing to drink lots of water will help to move along the clearing process. Bear in mind that the clearing process lasts longer in some people than in others. Everybody is different, and not everyone follows the same clearing schedule. Factors that can influence the process include how well the instructions were followed, and how healthy the immune system was to begin with. Secure track and trace delivery worldwide. Mineral Detox includes: • Mineral Detox minerals (3 x 500ml bottles) labelled A, B, and C • Mineral Detox minerals H (1 bottle) Orders are shipped worldwide with tracking within 24 hours of receiving the order or the next business day. Delivery can also be made to PO Box addresses. All orders are sent discreetly in a plain, privately labeled package…. For a limited time only, don’t wait to order!